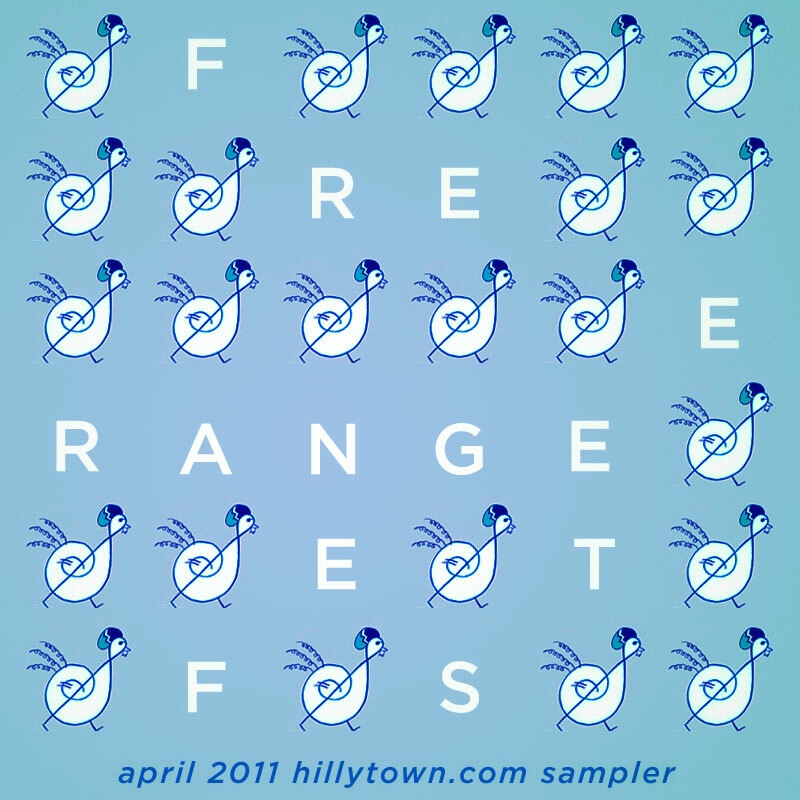 It’s been difficult keeping this one quiet in the weeks I’ve been putting it together, so I’m excited to finally share the Free Range Festival 2011 Sampler, compiled by HillyTown with the help of the Free Range Fest organizers and participating artists. This 15-track album represents many of the artists playing the April 30 festival in Belfast, Maine (go here for the full list of performers and bios). In addition to exclusive new tracks from local artists Brenda, Sunset Hearts, and Marie Stella, you’ll also hear from Michael Hurley, The Milkman’s Union (who are playing our show in Portland this Saturday and we just made a video for), Mango Floss, Vistas, Jacob Augustine, Broken Water, Big Blood, Grass Widow, Jonny Corndawg, Dead Man’s Clothes, and In Houses In Trees. Enjoy the songs and share them with your friends, then do yourself a favor and purchases these artists’ albums if you hear something you like (we think you will)! We’ll see you in Belfast on April 30 at the festival and our afterparty at Three Tides!